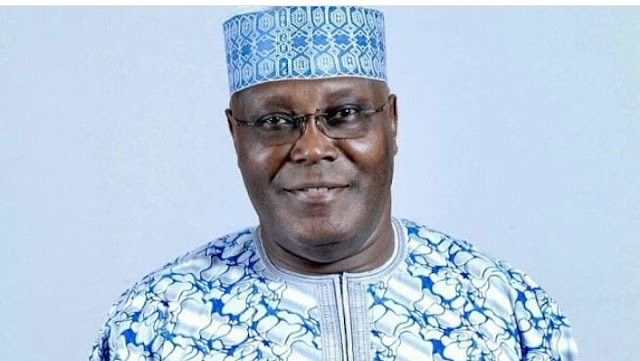 Atiku Campaign Organization just posted via their Instagram page ( @atiku.2019 ) some great reasons why all Nigerians should vote for the Former Vice president and PDP presidential candidate, Atiku Abubakar in 2019 as the President. 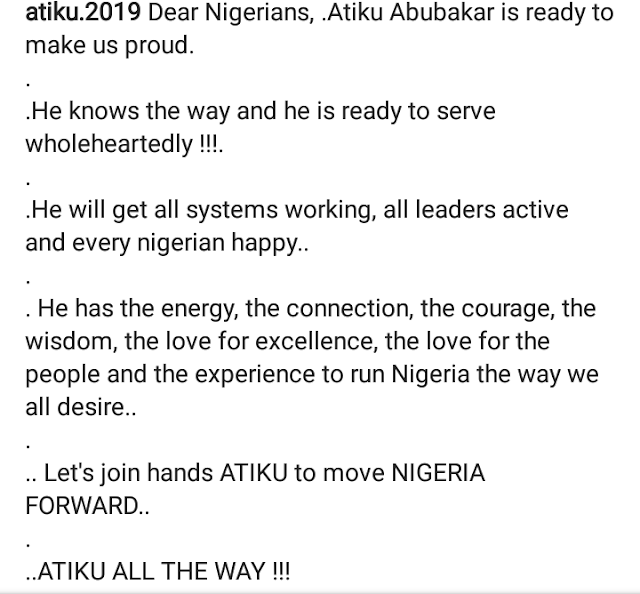 .Atiku Abubakar is ready to make us proud. .He knows the way and he is ready to serve wholeheartedly !!!. .He will get all systems working, all leaders active and every nigerian happy..
. He has the energy, the connection, the courage, the wisdom, the love for excellence, the love for the people and the experience to run Nigeria the way we all desire..
.. Let's join hands ATIKU to move NIGERIA FORWARD..
..ATIKU ALL THE WAY !! !